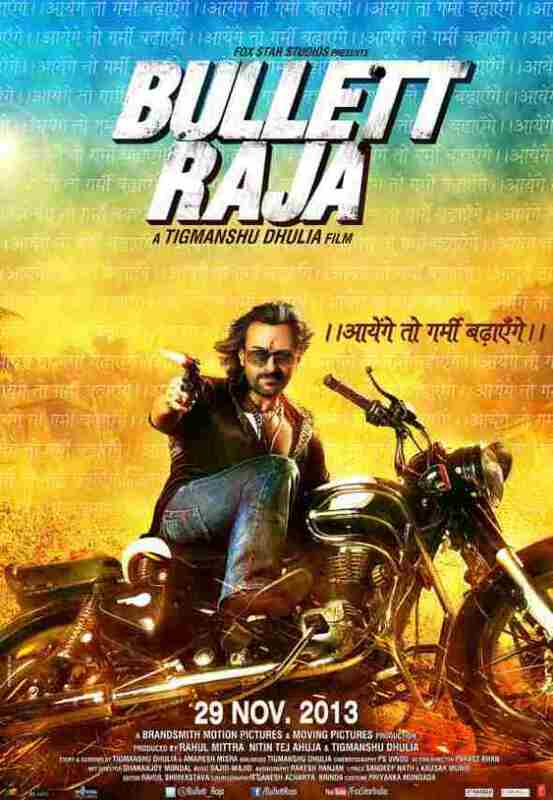 Review: ‘Bullett Raja’ is absurd beyond belief | Mehta Kya Kehta? A hodgepodge of a film, Bullett Raja is neither a comedy nor a serious action thriller. It doesn’t give you a dose of drama, and it certainly doesn’t deliver what it promises. If you go for this movie expecting to be entertained, you’re in for a rude shock, unless your idea of entertainment is seeing for yourself how Tigmanshu Dhulia has made the first goof of his career. Jimmy Shergill and the three-four other actors who are cast in almost all of Tigmanshu Dhulia’s movies act because it’s what they have to do, because it comes to them naturally. Bullett Raja, however, stars Saif Ali Khan – a Bollywood star who’s been attempting these type of roles to create his place as one of the heroes of the masses, and Sonakshi Sinha – a fat chick who acts the exact same way in all her movies. Saif Ali Khan falls badly here. This isn’t the role he was waiting for, and he’s worse than ever at convincing you that he’s playing a character and has been horribly miscast as Raja Mishra (let’s never get into this film’s story), while Sonakshi is … fat. It’s hard to believe this is a Tigmanshu Dhulia film. Bullett Raja is by far the worst movie I have seen in a very long time, with two brain-dead composers providing songs it didn’t need. The story is so absurd that you have to watch the movie to believe it, and I certainly don’t have time to take you from one scene to another the way the plot takes you from one city to another. Save the very few funny one-liners, there is absolutely no reason to go for this film. Jimmy Shergill and the others who know how to act must be feeling incredibly stupid. Bullett Raja is a hamfest that had me chuckling; at no point can you take Tigmanshu Dhulia’s shot at mainstream success seriously. Hey there, You’ve got completed a great job. I’ll definitely stumbleupon it as well as in my own see propose so that you can my friends. More than likely are going to taken advantage of this website.